Event winners and organizers pose for a photo at the conclusion of the Pattaya Hospitality Challenge 2017. 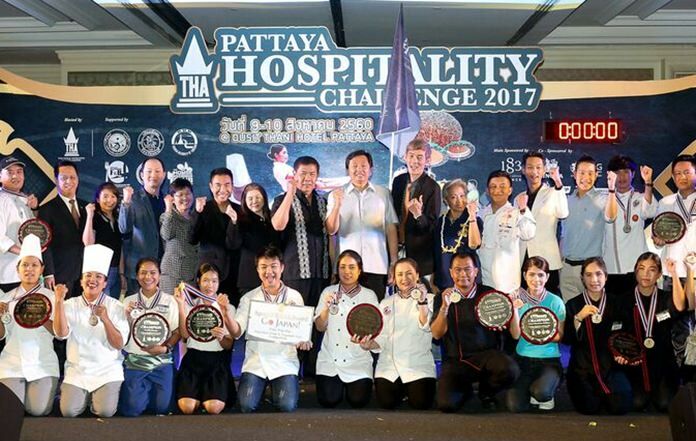 The Dusit Thani Hotel took three top awards and Long Beach Garden Hotel & Spa won honors for top bartender at the Pattaya Hospitality Challenge. Worapope Kayen was crowned top mixologist at the Mr. Bartender event at the Aug. 9-10 competition at the Dusit Thani. A barista conjures up another cocktail for the judging panel. The Dusit Thani won first place for best bartending team, as well as Freestyle Floral Display and Western Table Setup with Floral Arrangement. Chonburi Provincial Administration Organization President Wittaya Kunplome opened the Thai Hotels Association Eastern Region event aimed at finding the most skilled and talented service providers in the eastern hotel industry. Participating hotels sent contestants to compete in 23 categories. Other notable winners were the D Varee Jomtien Beach for Best Barista, The Zign Hotel in the Spa Booth Decoration Challenge, the Tsix5 Hotel for Modern Tapase Display, and the Tide Resort for Ice Carving. 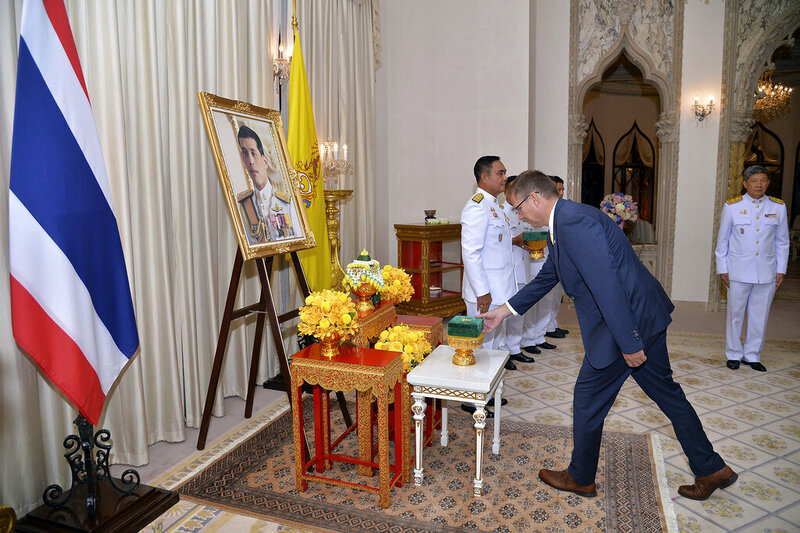 The event also featured a concert from Ae Jirakorn.